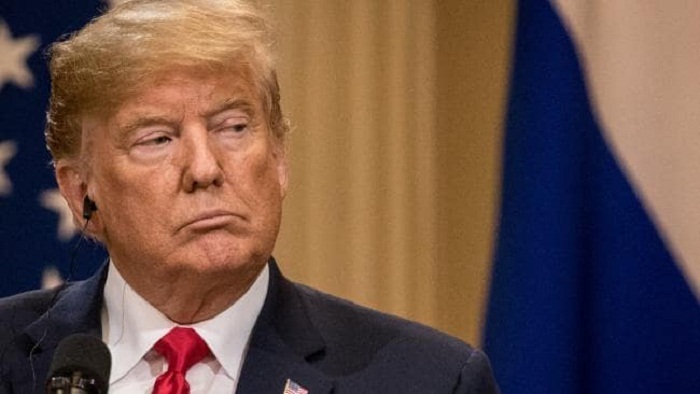 US President Donald Trump insisted Wednesday that his meeting with Vladimir Putin could prove successful, as he tries to quell fury in Washington after appearing to defer to the Russian leader over US intelligence chiefs. The Republican president claimed his meeting with Putin -- who he seemed to warmly embrace, triggering outrage in Washington -- could prove "an even greater success" than his one last week with traditional allies NATO, adding that his counterpart had agreed to assist US negotiation efforts with North Korea. "While the NATO meeting in Brussels was an acknowledged triumph, with billions of dollars more being put up by member countries at a faster pace, the meeting with Russia may prove to be, in the long run, an even greater success," Trump tweeted ahead of a planned meeting of his cabinet later in the morning. The NATO summit was widely seen as a testy gathering that badly strained trans-Atlantic ties. "Many positive things will come out of that meeting," Trump continued, saying Moscow "has agreed to help with North Korea." "So many people at the higher ends of intelligence loved my press conference performance in Helsinki," he said, adding that he and Putin "got along well which truly bothered many haters who wanted to see a boxing match." At the press conference Trump failed to challenge Putin over the 2016 presidential election, seeming to accept at face value the strongman's denial that Moscow interfered in a bid to undermine Democratic candidate Hillary Clinton. Facing anger upon his return stateside Trump sought to walk back his remarks in an extraordinary postscript to the meeting. He said he accepted the intelligence community's assessment that Russia had meddled in the election, and offered a rambling explanation of his assertion that he could not see "any reason" why Russia would interfere. "In a key sentence in my remarks, I said the word 'would' instead of 'wouldn't'," Trump said. Trump's remarks on North Korea came a day after he announced there was "no time limit" to denuclearize under his accord with Kim Jong Un -- a shift in tone from when the US president said the process would start very soon. Trump met with Kim on June 12 for an unprecedented summit in Singapore during which the North Korean leader pledged to work toward denuclearization of the peninsula.